“This is the Groups summer get together. 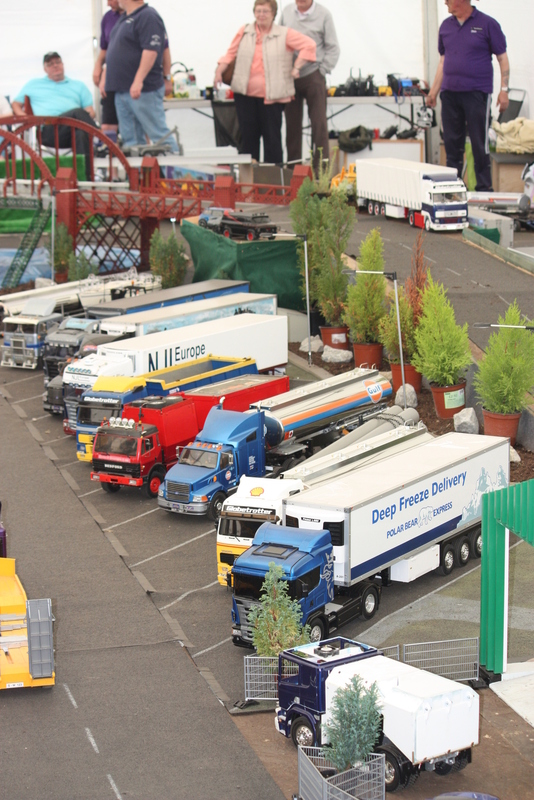 We will be presenting the layout within a marquee where you will find a busy road layout, from forklifts to diggers, cars to trucks all based around the scale of 1:14. The marquee will be sited close to the BAR marquee and on the Saturday evening we will be doing our annual evening run up the concrete walkway before dusk followed by a Night run on the layout where you will see all the trucks and layout lit up!